Morecambe target a return to winning ways when they host Port Vale at the Globe Arena tomorrow. The Shrimps return to action for the first time in a week-and-a-half, having had last weekend off following their early FA Cup exit. 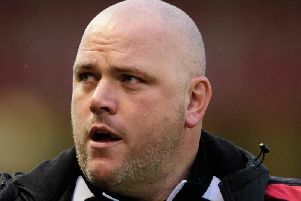 Jim Bentley’s players are on the lookout for a first league victory in three matches following their draw with Notts County and loss at MK Dons. Their league results had been promising before that with back-to-back wins against Yeovil Town and Forest Green Rovers. However, injury issues have continued to hamper the club with a number of absentees in key positions at the back and in midfield. Both senior right-backs, Zak Mills and James Sinclair, remain unavailable, forcing Morecambe into alternative arrangements . Jordan Cranston, who is more accustomed to playing at left-back, has found himself on the opposite flank or the Shrimps have switched to a back three with Steve Old and Sam Lavelle joined by Josef Yarney. “Switching formations comes quite naturally,” said Old. “You adapt to the situation so that if one formation isn’t working, you can switch to the other. The Shrimps are asking fans at Saturday’s game to ‘bring a tin’ in aid of the Morecambe Bay Foodbank. Members of the organisation will be at the Globe Arena to take the donations as well as speak about the services they provide.